Vintage Sugilite Pendant (39 ct) on Iodized silver beaded Amethyst 18" chain Necklace. This is an 18 inch necklace, with lobster clasp, but can also be available in 36 inches, for $15 more. The 36" chain has a magnetic closure. Either chain can be switched to a screw type closure. 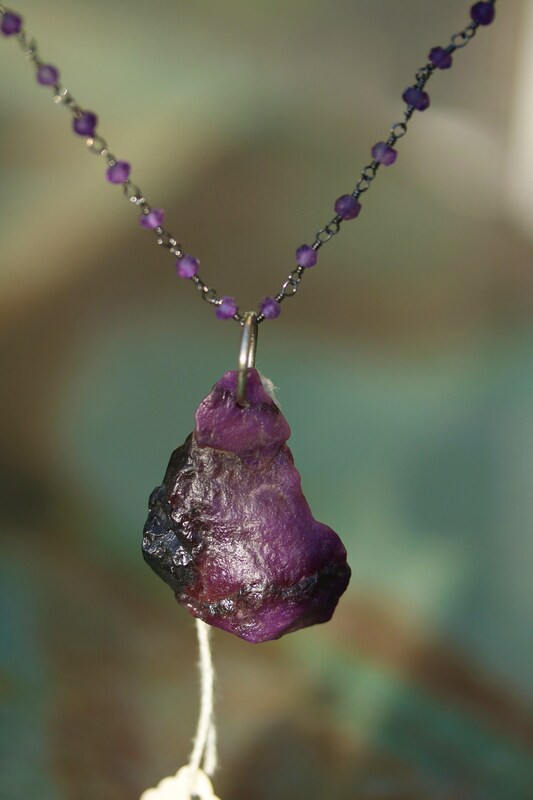 The necklace is beaded with genuine amethyst. The pendant is Sterling Silver and the chain is anodized silver made to give it an antique style. Sugilite gets its attractive purple colour from traces of manganese. It can range in color from pinkish-purple to deep bluish-purple. 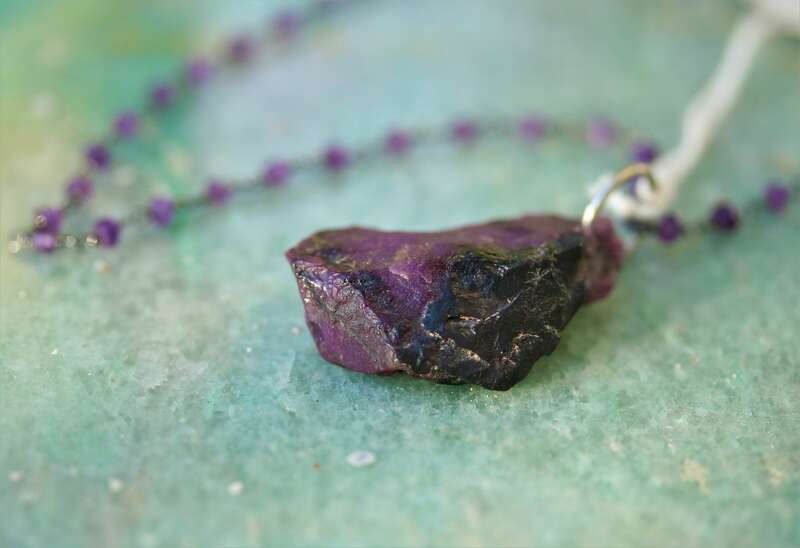 The most highly valued sugilite gemstones are a uniform and intense purple. 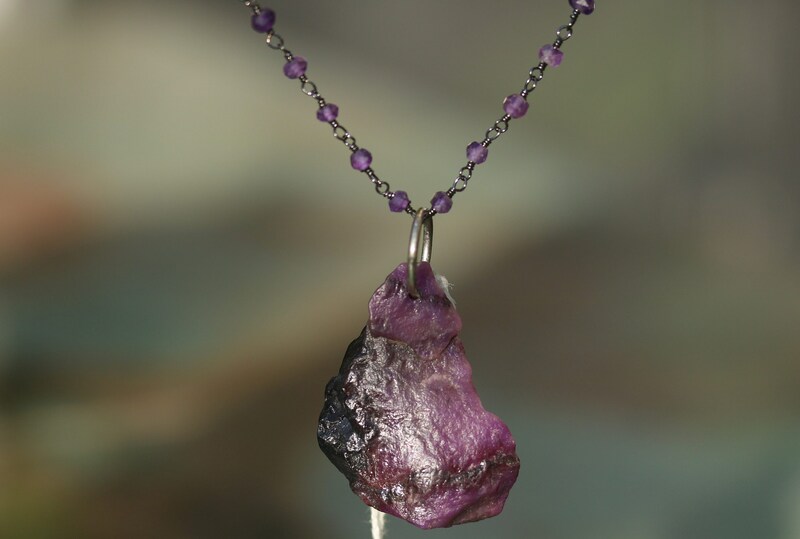 A great deal of sugilite has patches, veins or layers, and attractive or interesting patterns are also desirable in sugilite gemstones.